Category Seafood and tagged herb oven baked salmon, paleo salmon. This summer is continuing to fly by. In exactly a month I will be heading to California with a group of friends to watch the Crossfit Games. I can't wait......the crossfit games is like Disney World for adults that like Crossfit. So, since I have about a month until I leave, I am doing a whole 30 challenge. I am doing it to clean up my eating a little bit. I'm currently just finishing day 3. I won't bore you with the details of it, but just know that for 30 days there will be no paleo cookie recipes, cakes, muffins, or basically any desserts! Unless we make them on the cooking show, and this Fridays show we will be making paleo cookies ( it was pre recorded)! I made this salmon for dinner after seeing a similar recipe on pinterest. It was a winner! 2. In a small bowl combine finely chopped shallots, parsley, basil, dill, lemon juice, and olive oil. 4. 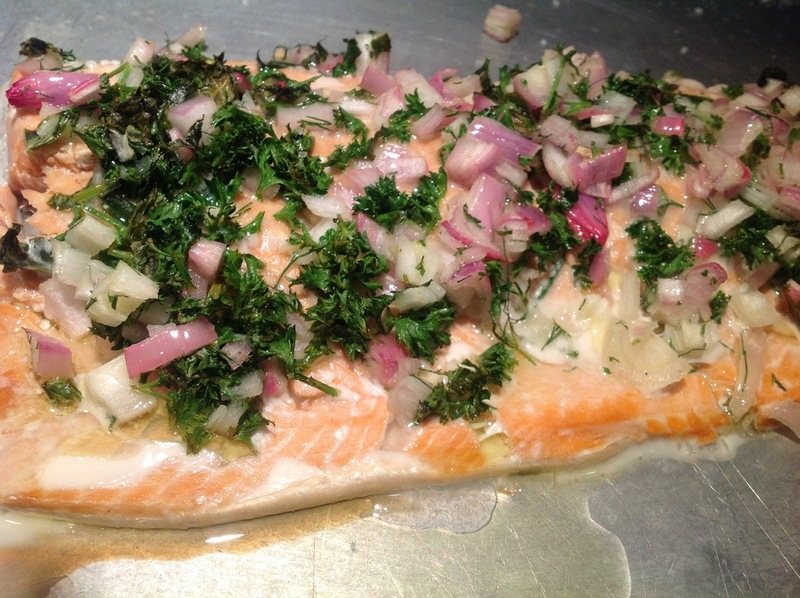 Pour herb mixture on top of salmon to form a thick layer on top. 5. Place salmon in the oven on middle rack and bake 25 minutes. 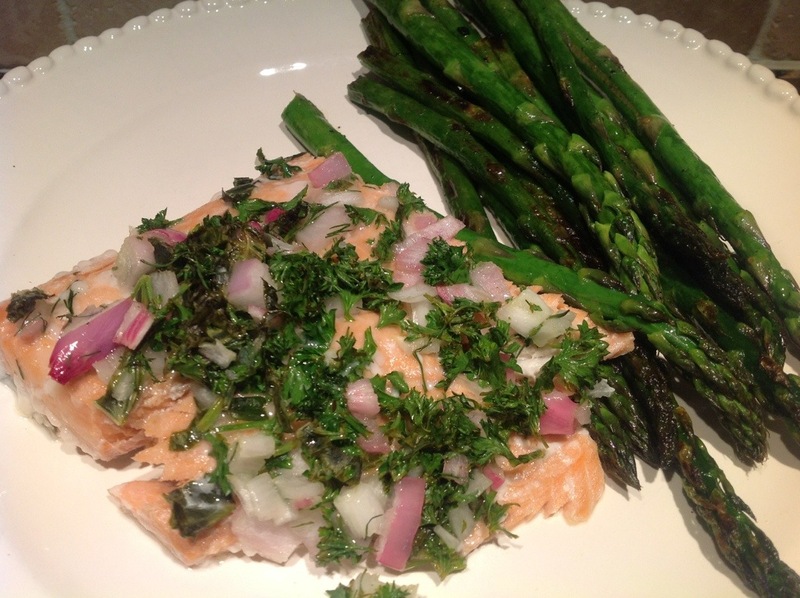 This entry was posted in Seafood and tagged herb oven baked salmon, paleo salmon. Bookmark the permalink.